ODEON Cinemas Group was triumphant in the ‘Best Talent Management’ category at last night’s Personnel Today awards. The judges were impressed by the originality of the Group’s Brand Heroes programme (the first Group-wide talent programme) focusing on emerging talent in the business. The programme identifies the best and brightest brand advocates and provides a platform to fast track them to becoming future leaders with the necessary coaching and support. The judges were astounded by the results in terms of promotions and achievements – from almost 220 stars identified across the group, approximately half were promoted after the eight month programme and a further 30% ready to be promoted when roles become available. This ‘fast track’ concept has now been extended to the group’s Guest Experience Supervisors, the first level of cinema management, with the identification of ‘Experience Heroes’ embarking on a similar development programme. 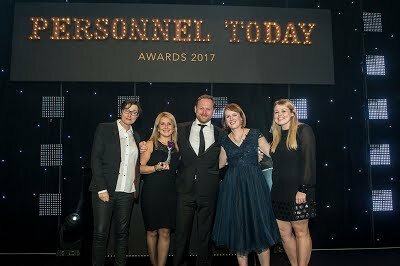 Personnel Today is a leading HR magazine and news website and its awards are considered very prestigious in the industry. ODEON Cinemas Group was also shortlisted in the following categories; Change Management, Learning and Development and HR Director of the Year.